You’ve got a friend in me! One of the most beloved Pixar movies is Toy Story. Toy Story is more than just a storyline for some children. If you’re familiar with Andy’s toys then you know that Woody, the cowboy, is his favorite that is until Buzz Lightyear comes along. Woody and Buzz have their differences but, in the end, they become fast friends through the journey of teamwork. We know that your child’s toys don’t come to life while you’re not there. However, this wonderful film will get your child’s imagination going and their toys might start to entertain them a little bit more. Whether your child is a Woody or Buzz fan, we have all your favorite Toy Story characters on our list below! Your child will love playing along and acting out their favorite scenes along with their favorite movie! for this update we added two new products to our list of the best Toy Story toys in today’s market. We also added a little bit more information to our criteria section. For any other questions you may have please don’t forget to check out our FAQ your answers might be there. Perhaps one of the most notable characters in Toy Story besides Buzz and Woody was Mr. Potato Head. He was sarcastic, witty, had zero patience, and always had us laughing at one point or another. By the third movie, he had become a fairly major character and one that many kids loved to watch. You can’t go wrong with a Mr. Potato Head for your own little one, especially when he comes with all the features that have been seen in the movies as well as (surprise!) a Tator Tush compartment for storage. Hey, you’ve gotta put those extra parts somewhere, right? This is one of those toys that looks like it fell right out of the movie and into your child’s hands. Any fan of the movie is going to love this replica of the famous Potato that came to life with a rather bold personality and brilliant plans involving his various removable parts. The amount of accessories is really what makes this version of Mr. Potato Head stand apart from the rest. Throughout each movie, he had a multitude of facial expressions and features, and now your child can go crazy with all of them. Buzz Lightyear to the rescue! Your child can have their own Buzz which hopefully your child’s other toys won’t get too jealous with this guy becoming their favorite. Your child can take Buzz on all their favorite adventures or even to planet Zurg. He features over twenty different phrases that your child will remember from the beloved movie. Buzz Lightyear features various English and Spanish phrases for your child to be able to learn them all. He even has wings that pop out so that your child can make him fly around and land whenever they get to their destination. He does come with a “chop” feature on his arms and features a light laser. He’s just like the action hero in the movie! We love this product because not only will this toy help your child's imagination and creativity skills. They’ll have their favorite character along with the movies and be able to act out their favorite parts of the movie. It’s the perfect gift for any upcoming occasion. We’re sure your little one will love. It’s no secret that stuffed animals make children feel safe. The Woody and Buzz Lightyear plushies will allow your child to feel a sense of security from their favorite pals. Not only are these guys great for comforting your child, but they will also encourage them to use their imaginations. Both characters are designed to look exactly as they do in the movie. Composed of a soft material, they are comfortable to hold and snuggle. Their high-quality stitching makes this duo highly durable. Buzz is 10 inches tall and Woody is slightly taller at 12 inches. They’re lightweight and easy to transport so your child never has to leave home without their best friend. The soft material makes the characters easy to fold into small places, so there’s always room for Woody and Buzz in any bag. Both Woody and Buzz are soft enough to cuddle but flexible and durable enough to be used for pretend play. They will stimulate your child’s imagination while also providing them with a sense of security. This product contains fourteen colorful pieces and accessories that can be used to create The Mrs. Potato Head. While this comes with only one set of everything there are other sets and other accessories sold separately. This toy is meant for ages three and up. This is a great toy for little girls, there is a Mr. Potato Head option available for little boys, or to be interchangeable if you desire. Putting the pieces in their place to create their very own Mrs. 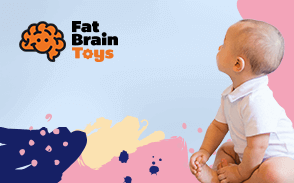 Potato Head can help your little one to strengthen their finger strength. This can help develop and improve the use of fine motor skills. Using these skills can in turn help strengthen the neuron pathways in the brain that control memory and cognitive abilities. This is also a great toy for inspiring imagination and the development of social skills. Her wacky colorful style provides your child with a laugh inspiring toy to promote creativity. The pieces are bold and bright to help your little one with color recognition. Her face comes complete so your child can learn about the eyes, lips and ears and where on the face they are located. There are six pieces included in this set. These toys are recommended for use by children roughly ages two to four. There is Woody, Buzz, Jessie and her horse, and the dinosaur. As an added bonus there is a villain in this set Lot. These toys stand at around three to four inches tall. The size of the pieces is large enough to make them easy for little hands to hold. The finger muscles used to hold and maneuver these pieces will improve finger dexterity. It will simultaneously improve and strengthen the use of fine motor skills. As your child recreates scenes from the movie or creates their own scenes, imagination can run wild with endless possibilities. These character pieces can be used as a toy set or for a cake topper. Your little one can even take them on an underwater adventure during bath time. They are beautifully detailed to give your little one accurate replicas of their favorite characters. Woody fans, we’re looking at you! This hat is probably the most authentic nod to Woody that we’ve seen as far as costumes go which is wonderful because his hat was one of the most iconic aspects of his uniform. Woody’s Sheriff’s hat is covered in velvet and features his name emblazoned on the front. It’s one size fits most and perfect for kids looking to dress up as their favorite Toy Story sheriff. This hat couldn’t be more official; in fact, it’s a licensed toy by Toy Story which means that your child is getting something authentic. It’s the perfect finishing touch for any Woody costume. We could see this becoming a collector’s item further down the line or even being used for Show and Tell at school. Woody’s sheriff hat is almost as iconic and the name engraved on the bottom of his boot, and we love that kids can have a part of that. Recommended for ages three and up this adorable slinky dog is modeled after the slinky dog from Toy Story, Woody’s best pal. It is a smaller version of the original classic slinky dog. It’s around four and a half inches and when stretched out it measures around nine and a half inches. It weighs only around four and a half ounces and has little loop a tug leash so your little one can their buddy for a walk no matter where you are. This sweet little dog can be used to help keep your little one occupied. It’s great for use during those long hours on a car trip or plane ride. It can be used to promote imagination and help give your little one a buddy to travel with. Inspiring your little one to tap into their imagination can be stimulating for their brain development. It can also provide them with an easy and hassle-free way to keep themselves occupied. It’s not only adorable but also compact. It’s a great addition to any present or to throw into a backpack when your packing for a long trip. It’s modeled after the fun loving and warm hearted dog from the movie. He plays a loyal pal to woody, proving dog’s really are man’s best friend. It’s surprising when you see anything made my Slinky that’s not just plain metal or randomly-colored slinky. In fact, you’d never guess that this version of Slink was made by the same company because the actual slinky part of him is covered in a soft plush material...But it’s brilliant! Slink, as he was affectionately referred to by Woody, really is everyone’s favorite underrated toy. He was caring, cute, and was never in anyone’s way -- In fact, he helped to save them most of the time! Toy Story wouldn’t be possible without Slink, which is why it’s so cool to see Slinky creating a plush version of Slink that’s able to be cuddled and hugged. This toy was made ten times safer with the addition of plush material. Slinkys aren’t unsafe, but they’re definitely not the kind of thing you’d want to hug. With a lovable character like Slink, it just makes sense that to match his personality, he’d need a soft and cuddly exterior, too! The plushy softness that this version of Slink offers is perfect for kids who love to cuddle and hug their toys. Slink can be traveled with, packed easily, and played with without the fear of his Slinky tale getting stuck, tangled, or bent. Your child can assemble the troops with the Toy Story Bucket O Soldiers. The bucket is filled with 72 plastic green soldiers. Two of the men are equipped with working parachutes and the rest are designed in poses that resemble the soldiers in the movie. Composed of high-quality plastic, these soldiers are built to survive countless battles. While they are made of a tough material, they are slightly soft to the touch. They will feel comfortable in your child’s hand and will not hurt their feet if accidentally stepped on. The soldiers will stimulate your child’s imagination and encourage them to engage in pretend play. The large bucket will keep your home clutter-free as it will keep all of the army men stored inside. Not only does the bucket make storage easy, but it also makes it super-simple for your child to transport their army. As your child drops the men with parachutes from the stair or balcony they will be increasing their hand-eye coordination and fine motor skills. They will also receive plenty of exercise as they run to retrieve the men. The bucket makes storing and transporting these soldiers stress-free. The variety of poses the soldiers are in will unleash your child’s imagination and allow them to create fun and exciting adventures. The durability of the soldiers will allow those adventures to continue for years to come. Bullseye is Woody's most trusted companion. While this little guy doesn’t make his debut until Toy Story 2 he is still a wonderful fan favorite. This soft plushie matches every detail to the funny character featured in this film. He’ll become a fast favorite. Your child will love creating their own adventures with Bullseye and acting out their favorite scenes with him. While of course, he’s not the real deal your child will be amazed by its real like qualities to the character. We love this little guy because he’s just like the one from the movie! Your child will love creating adventures and using their imagination of having Bullseye start saving the day along with Woody! Every sheriff needs their horse! We want to make sure that your children not only have a fun time playing with their favorite toys but that they’re also educational as well. While these toys are part of the wonderful Disney Pixar franchise, they also all come with activities and lessons that your child will learn just by watching their favorite movie. When combining familiarity and pretend-play this will bring new development skills for your child with their favorite companions. It’s a known fact if you’ve seen the movie that Woody experiences a lot of emotions that even younger children and pre-teens might go through. While he has to learn good coping mechanisms when something changes in his life and learns the golden rule of how to treat others, it’s a wonderful story to teach your children these values. Teaching your children these values can be tricky especially if they don’t quite understand them yet, however, using toys from this favorite franchise will help your children learn these concepts through pretend play without even realizing it. Q: Are these toys heavy? A: Most of these toys weigh only a couple of pounds when they ship and arrive. You’ll find however, they are much lighter when they are unpackaged. Some even weighing only a few ounces. Q: Are these toys large? A: Most are only a few inches tall. There are a couple that may be just over a foot in height or width. A: The ages for the toys range from 2 to around 12. Knowing your child’s personal interests and development level will better equip you with the understanding of which toys meet the age range of your children. Q: Will exposing my child to violence through play time cause more damaging effects in the future? A: It’s true that children are easily persuaded and often mimic the words and behaviors they see and hear from movies/TV and the people around them. Exposing them to the “violence-themed” toys on this list can help your child improve a number of developmental skills and also will give you the opportunity to correct certain behaviors. These toys give you the opportunity to explain to your child the importance of understanding how severe violence is and the importance of knowing that there is a time and place for everything. Q: Are there toy options from the whole Toy Story series? A: Yes, there are toy sets with characters included in all the movies and you can make a Toy Story collection. Note that each set does not contain characters from all movies. Q: How do I find replacement parts? A: There are many sets available with accessories and pieces should you lose anything. There are a few options on here that give replacement options based on the manufacturer’s policy.